This blog came from Jaymie an adventurer of the wonder of the Philippines. 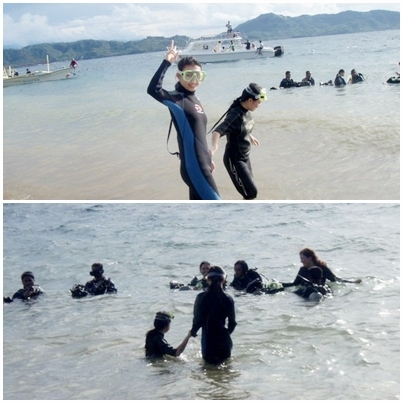 Jaymie visited the birthplace of scuba diving in Anilao, Batangas. This blog came from Jaymie an adventurer of the wonder of the Philippines. 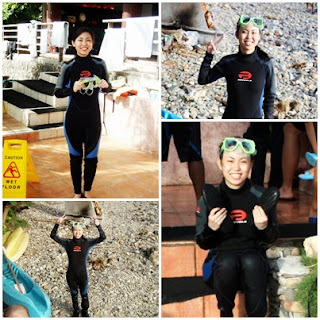 Jaymie visited the birthplace of scuba diving in Anilao, Batangas. 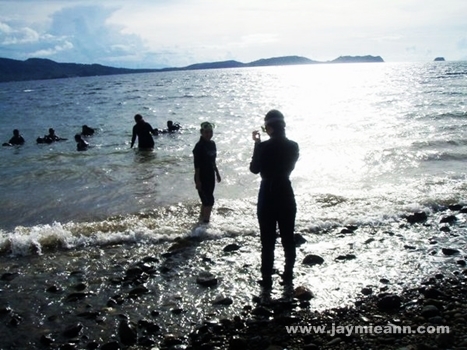 Let's take a look her wonderful experience in one of the best dive spots in Batangas. One of the best experiences of my life was when I went scuba diving for the first time. Probably one of the most "daring" things I've done (so far). It happened during the third quarter of year 2010. Our group went there in September. It took us roughly three hours on the road to Anilao passing through South Luzon Expressway or SLEX. It was just a day trip where we had to meet early in the morning and go back late in the afternoon. If you're near the metro, and up for some diving adventure, you may also opt for the day trip just like we did. I learned that the town was so-called the "birthplace of scuba diving" in the Philippines. It may not have the white sandy beach as others would want to see. But wait until I tell you what kind of underwater world it has that makes it one of the tourist destinations in the country. We arrived at the beach resort at almost lunch. So we spent and enjoyed a seafood buffet just after few minutes. 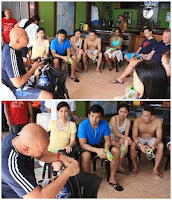 Preparation and briefing happened right after lunch as we were all excited for the dive. Maybe, except me? If you have read my previous posts, you already know that I'm not really a swimmer. Why dive? I don't know. I mean I don't have to. But I want to try something different. (Wow, what confidence you might think) I also got to know a friend who went scuba diving and she's not a swimmer. She enjoyed it! (Now I tell you, that's where I got my confidence, but not entirely.) As I was advised, I will be diving with a professional diver in this scuba diving experience. We were asked to sign a waiver. I was given two long sheets of paper. And this is what? I have to sign those papers to document or as proof that the company or whoever will not be liable for anything in case something bad happens to me during the activity. This made me even nervous. To tell you honestly, I was having second thoughts on doing it when I'm all prepared with my mask and wetsuit ready. I signed those papers anyway. I prayed for guidance instead. And then, the signal was given just so the orientation from the Master Diver to begin. That is the part where I, as a diver, must pay my utmost attention. Because if I do anything wrong it can take the rest of my life. Whew! True enough, I mean yes I will be with a professional diver but of course we cannot communicate underwater. We were taught of different hand signals to tell the pro-diver that "Hey, I'm okay", "I'm not okay", "Let's go up", "Let's go down", "OK to touch" (for the fishes/corals), etc. We were also advised to expect great ear-pressure while underwater as it will be 20 times the pressure while in the plane for take-off or landing. Some techniques have to be done in order to overcome this pressure anyway. I got nervous again! Then, it's time to hit the shore. I went for second batch since the boys went in first. I couldn't explain my nervousness at that time. I can feel my heart beat so fast. It's racing. I can almost feel it come off my chest. I was praying so hard that I'll be safe down there. I'd hop then sit to release the tension. I was in my wetsuit and mask at this time. And even practicing how to do breathing through my mouth (as I cannot breathe through the nose underwater). Until the moment I was fearing happened, I was called by my partner, the pro-diver. I went in together with my friend. "Trying to remember the way I acted at that time, if I'm in his shoes, I'd be laughing at myself. Don't ask me why. Haha !" I'm almost thinking what kind of fish I'd be like if I could be one of those fishes there? Hmm. Too bad, I don't have my underwater camera yet at that time. I could have posted a photo of myself with all of those beautiful fishes. It turned out I spent more than 40 minutes doing the dive. Really great for a first timer, my partner told me. I enjoyed it so much I felt time stopped while I was underwater. It was such a fulfilling experience. Surely, an unforgettable one for me. Should I pursue diving? I don't know yet but it wouldn't hurt trying it again. I'd have to give special thanks to my pro-diver partner in this experience though. He helped a lot in my confidence to do it. Also, for bringing me to the beautiful side where I could see the different kinds of fishes. Anyone of you tried diving for the first time? How was your experience?